DAVID CRIBBS is an Award-Winning Realtor, Power Player on the National TV show "The American Dream", National Sales Trainer, #1 Best Selling Author & Host of FaceBooks Under Contract LIVE, just to mention a few. 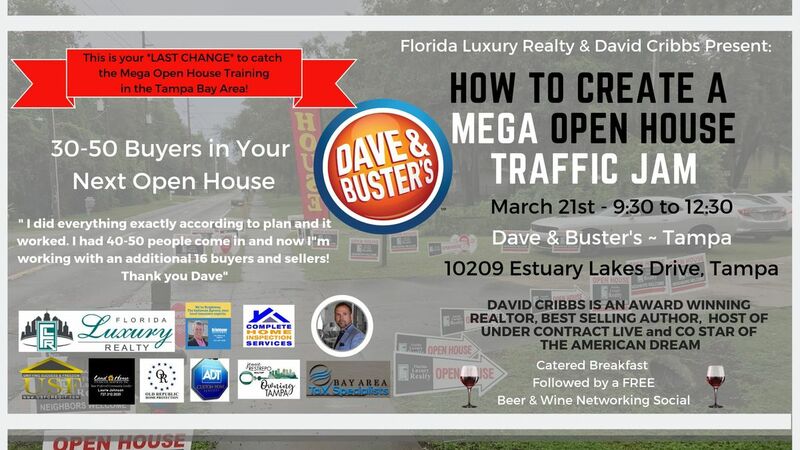 ~ Many of you have heard about the Mega Open House Traffic Jam that Dave created that is consistently driving 30-50 buyers into homes. Imagine providing this opportunity for your sellers and potential listings. Dave will lay out a detailed timeline of actions that have proven successful. This strategy has resulted in quicker sales, additional leads and often times multiple offers. One recent student said " I did everything exactly according to plan and it worked. I had 40-50 people come in and now I"m working with an additional 16 buyers and sellers! Thank you Dave". This event has limited seating and ALL of Dave's events have SOLD OUT so get your FREE tickets now. 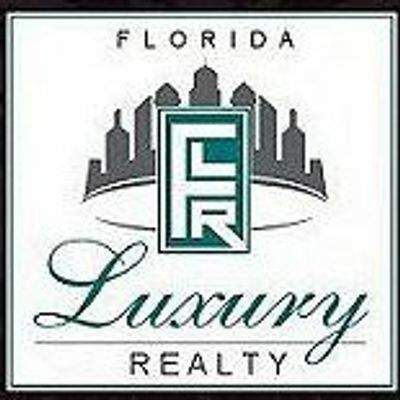 Florida Luxury Realty, Rich Saltzman w/ Brightway Insurance, Albert Cooke with Complete Home Inspection Services, Laurie Johnson w/ Land Home Financial, Janelle Weeden w/ Old Republic Home Protection, The Lovely Ladies of Crown Title, Tom O'Leske w/ Bay Area Tax Specialist, Jennie Restrepo w/ The Rehab Consultant, LLC, Anthony Chamness w/ ADT & Lon Schultz w/ UFC Credit.